For over three decades neoliberalism has remained the dominant economic ideology. Whilst it may have emerged relatively unscathed from the global financial crisis in 2008, neoliberalism is now - more than ever - the focus of intense scrutiny and debate from critics who argue that it has failed to live up to its many promises delivering instead an increasingly unequal and unhappy world. This book offers a nuanced and probing analysis of the meaning and practical application of neoliberalism in the contemporary world. It guides readers through the current debates around the definition and character of neoliberalism, separating myth from reality and outlining competing approaches to this pervasive doctrine. 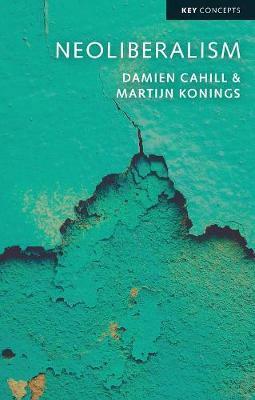 Drawing on examples such as the growth of finance, the role of corporate power and the rise of workfare and inequality, the book advances a balanced but distinctive perspective on neoliberalism as involving the interaction of political economic ideas, processes of material economic change and a series of political transformations. "This is a first-class text from two expert authors who make difficult ideas and arcane concepts highly accessible to the general reader without sacrificing the quality of the analysis or original contributions." "If you are looking for an accessible guide to the complexities of neoliberalism, or for a comprehensive introduction to dominant trends in advanced capitalism, look no further." Damien Cahill is Associate Professor and Chair of the Department of Political Economy at the University of Sydney. Martijn Konings is Associate Professor in the Department of Political Economy at the University of Sydney.